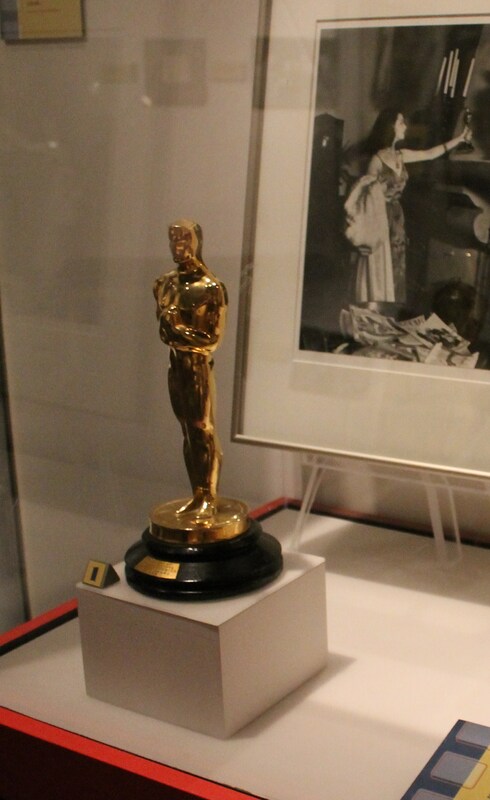 After 75 years, her fresh portrayal as Scarlett O’Hara is one of the most memorable screen performances of all time. 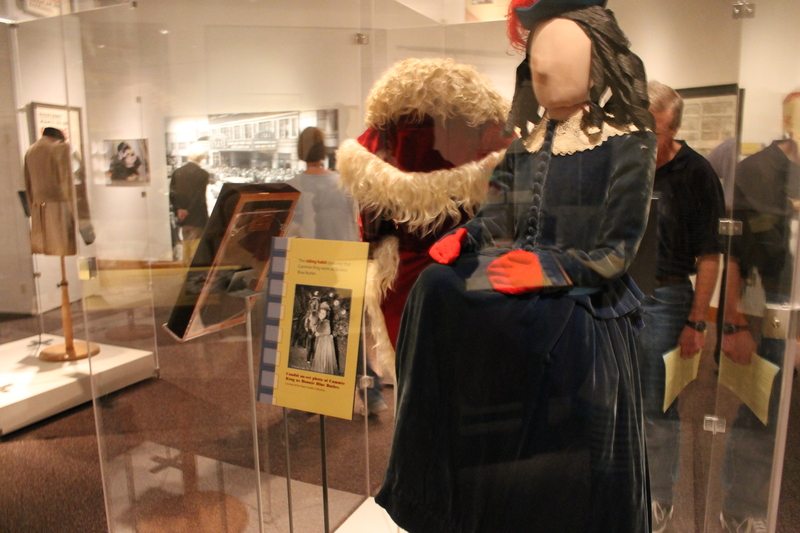 Last November, the “Gone with the Wind” actress celebrated her 100th birthday. 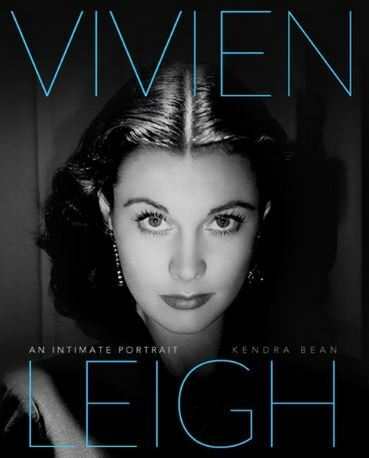 And to help celebrate, film historian Kendra Bean published a biography on Vivien Leigh, “Vivien Leigh: An Intimate Portrait.” Bean’s book is also the first book written about Leigh in 25 years. “An Intimate Portrait” tenderly chronicles Leigh’s life, from her childhood in India through her marriage and divorce to Laurence Olivier to Leigh’s early death at age 51. The book is well-researched, unbiased, beautiful and heartbreaking. Through her writing, Bean shows her passion for the subject and allows the reader to connect with the English actress. Leigh feels relatable and human compared to the unreachable and ethereal portrait that usually seems to be painted of the mysterious beauty. 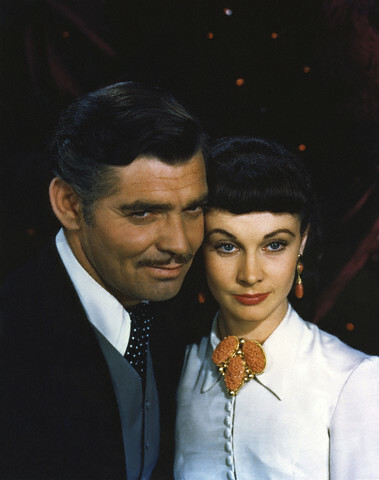 A publicity photo of Clark Gable and Vivien Leigh for “Gone with the Wind” (1939). This photo also appears in Bean’s book. Reading the page-turning biography is almost like reading “Romeo and Juliet.” Similar to the Shakespeare story that ends in tragedy, you are aware of the impending heartbreak in Leigh’s life. 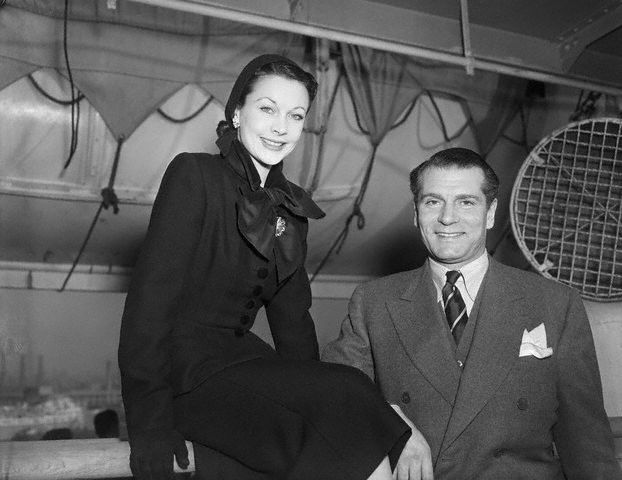 While reading about her successful career and marriage to Laurence Olivier, most readers know the whole time of her heartbreaking divorce, bouts with depression, tuberculosis and Leigh’s early death. Bean chronicles these events sensitively and through extensive research, quoting interviews throughout the book. She is also the first author to delve into Laurence Olivier’s files. The 272 page book is also filled with gorgeous and rare photos of Leigh. Bean started her Leigh and Olivier research on her website, VivandLarry.com, before moving from California to England to do more in-depth studying of Leigh’s life and romance with Olivier. 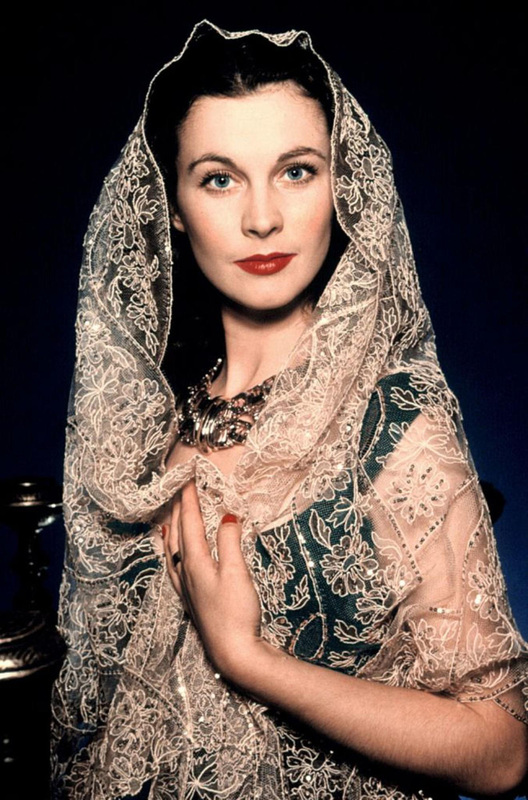 Comet Over Hollywood: When did your love for Vivien Leigh begin? What started it? 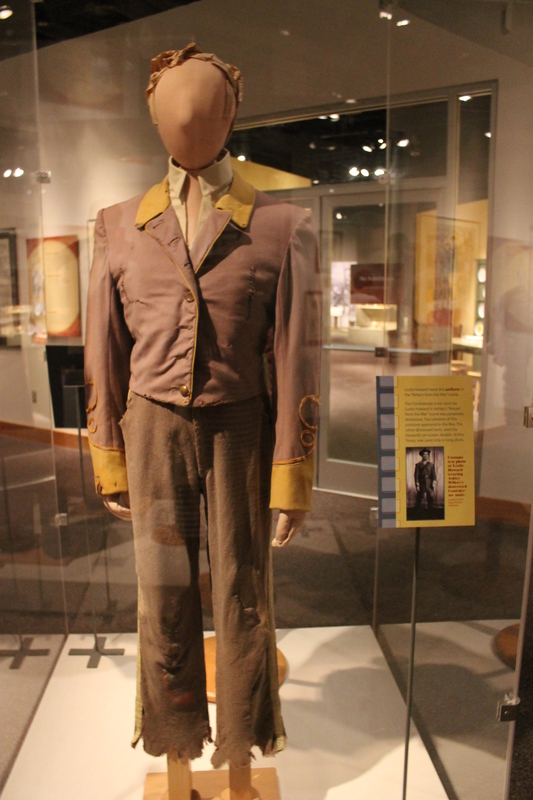 Kendra Bean: I saw Gone With the Wind as a teenager and began reading everything I could get my hands on that would tell me more about the film, including biographies of the stars. The more I read about Vivien, the more interesting she became in my eyes. That’s really what started it. Having a website and online community centered on her and Laurence Olivier has definitely helped keep my interest alive over the years. 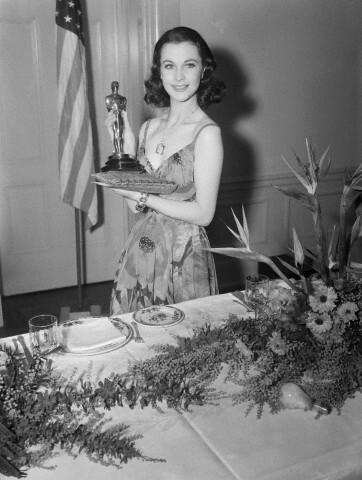 Vivien Leigh proudly holds her Best Actress Oscar on March 2. 1940. 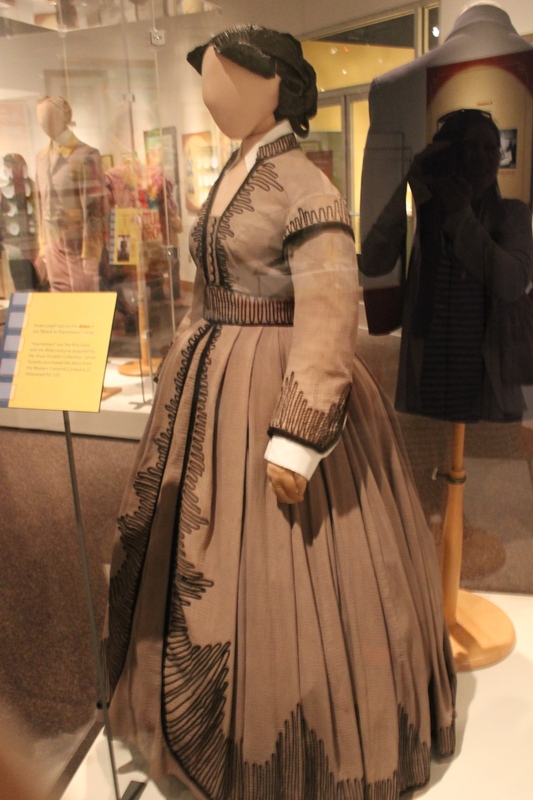 She was recognized for her portrayal of Scarlett O’Hara in Gone With the Wind. COH: I have always understood that you moved to England to better study Olivier and Leigh. Is that correct? How difficult of a decision was that? What was that transition like to study something you love? KB: That was only part of the reason. I actually moved to London for graduate school. I did my BA in Film and Media Studies back in California and then spent the next four years working. 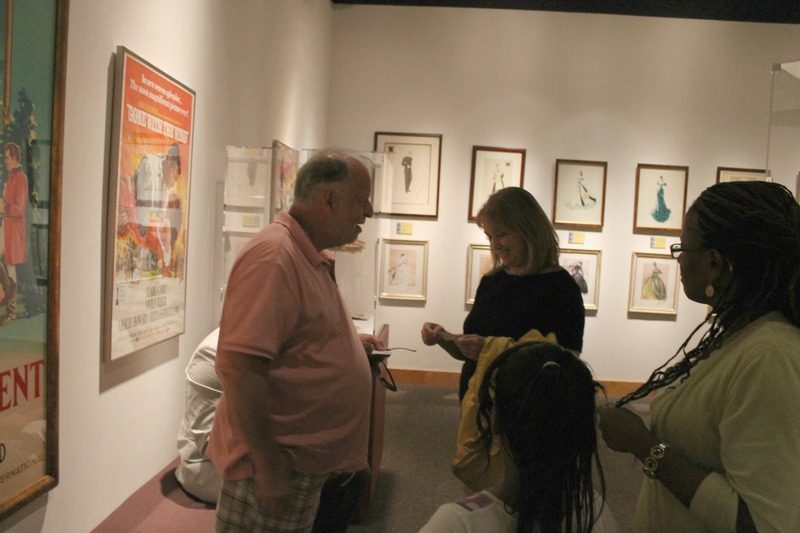 But I knew I wanted to be a film historian and to do that, I felt I needed to get a further degree. I wasn’t really satisfied with what I was doing back home, and just felt like I needed a change if I was ever going to actually pursue these interests. I always wanted to live in London for at least a year, so I applied to the Film Studies graduate program at King’s College London. Luckily, they accepted me and offered a couple of scholarships, so off I went! It was a big change, but I knew some people here already and knew my way around the city. I also made some great friends through the program who I still keep in touch with today. I think the most difficult period was the transition from graduation to whatever was going to happen next. I was determined to make this book project work, but the process of actually getting a publisher was a long one. It was a very stressful period because being on a visa kind of limits things. There were several times when I thought I might well have to move back to the US and that the book would never happen. COH: You have been working on the book for five years. What all goes into the research that you had to do? KB: There were two parts to my research: constructing the book and getting it published. Because it’s a coffee table book, a good deal of the process involved locating, sourcing, and licensing photographs (I don’t think a lot of people realize what a lengthy and involved process that is). I also spent a good deal of time in various archives in the UK and in Los Angeles looking for interesting information (fellow fans/research assistants sent me information from New York and Australia, as well), reading through various biographies, tracking down and interviewing people who knew and worked with Vivien, and seeking permission from various estates to quote from letters. When I first started this project, I had no idea how to get a book published. So, I also had to do a fair bit of research into the actual publication process: how to get an agent, possible marketing angles, crafting a proposal, etc. It was a lot of work, but very much worth it in the end! COH: What was a misconception you had that came to light during your research? 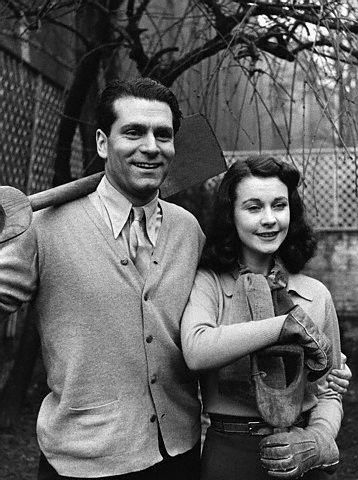 KB: I think there have been a lot of misconceptions about Vivien’s battle with manic depression (bipolar disorder) and her relationship with Laurence Olivier, in general. One major grey area has always been the infamous 1953 incident, when Vivien had nervous breakdown whilst filming Elephant Walk in 1953. 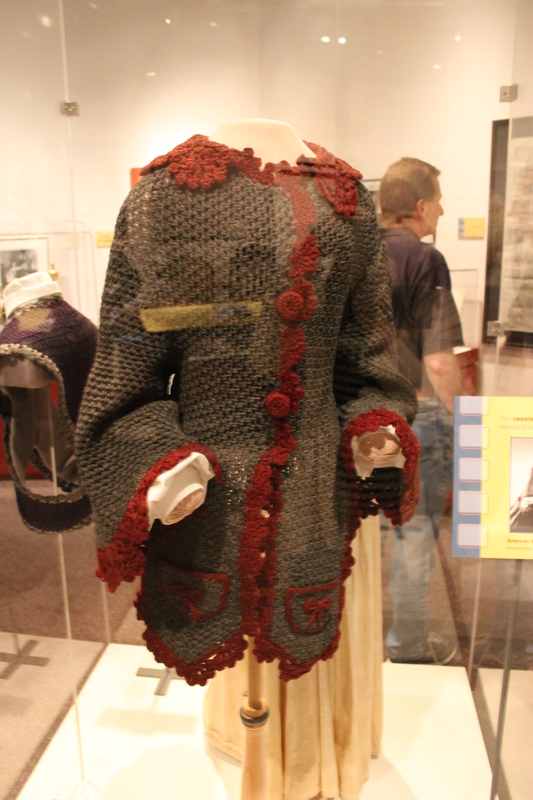 She was flown back to England, legally sectioned, and committed to a mental asylum. The picture I had in my mind from reading previous Leigh biographies was something akin to Frances Farmer getting hauled off to the state institution. 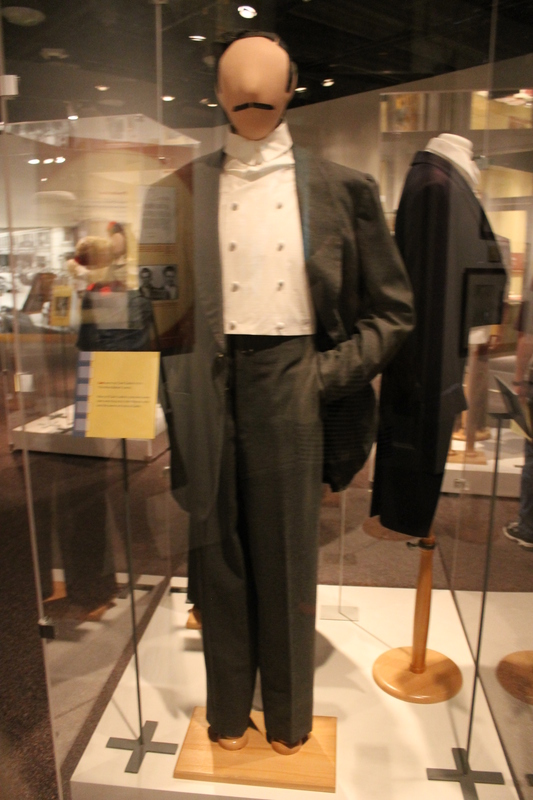 There were also a lot of rumors surrounding this event, including the suggestion that Olivier was having a long affair with actor Danny Kaye and that this set Vivien off. I found no evidence to support any of that. Rather, there was plenty to support the fact that Vivien had been headed toward a mental health crisis for a long time and previous attempts at intervention in 1951/52 were refused by her. Although this was not surprising given the stigma surrounding mental illness in the 1950s, it was still sad to learn that there’s a chance that this particular incident might have been avoided. I was given access to some files pertaining to this incident that hadn’t been by previous biographers (of Leigh or Olivier). What emerged was a clearer picture not only of the harrowing experience that Vivien went through, but also how that experience affected those closest to her – particularly Olivier. It was a very stressful and frightening time for all involved. Today it seems fashionable to focus on their interpersonal problems; specifically how horrible Olivier was to Vivien. Through moderating vivandlarry.com and the accompanying Facebook page over the years, it seems to me that there’s a tendency to view their relationship in black and white terms. In fact, it was very complicated. How could it not be? They were together for nearly 25 years and she remained obsessed with him for the rest of her life. Their marriage did turn very sour in the 1950s but before that, and I think sometimes during that period, there was actually a lot of love, respect, and camaraderie between them. 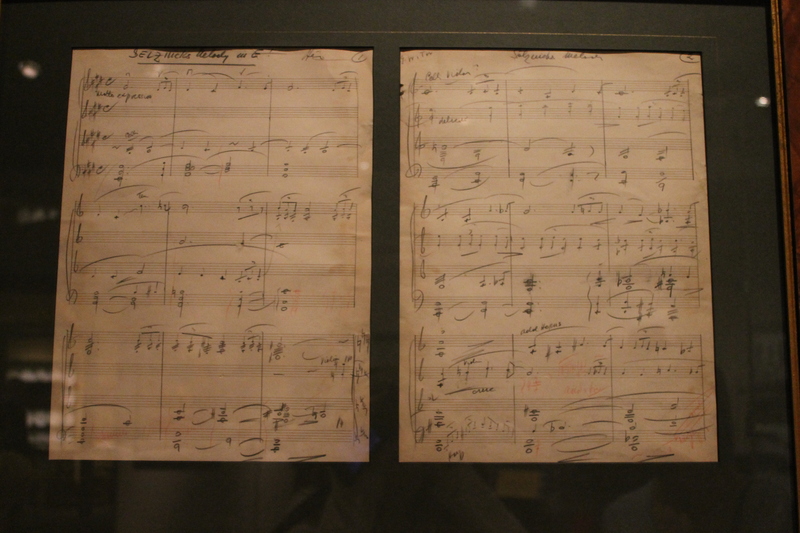 That notion was reinforced when going through Olivier’s papers, and those of other people who knew them. Arriving in New York by boat in 1951. COH: Why is it important to study actors like Leigh and Olivier and their relationship? KB: Because they both made significant contributions to 20th century popular culture. 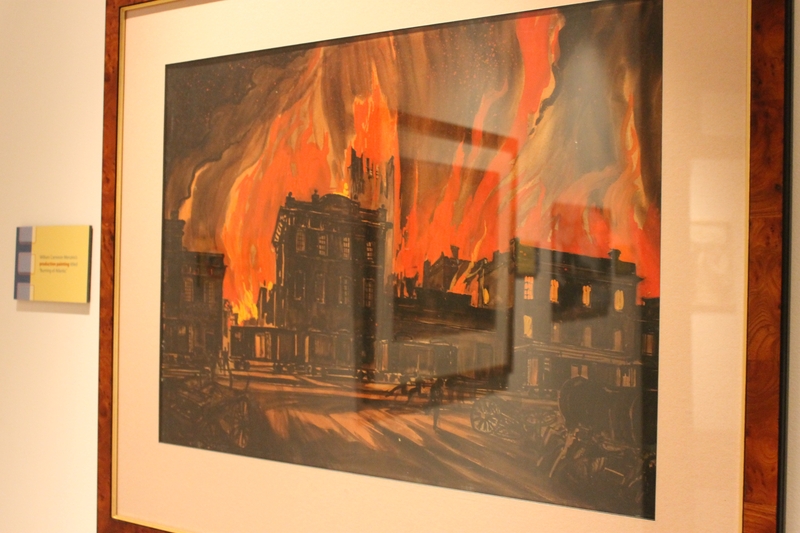 They considered themselves artists and their work deserves to be remembered and reappraised. 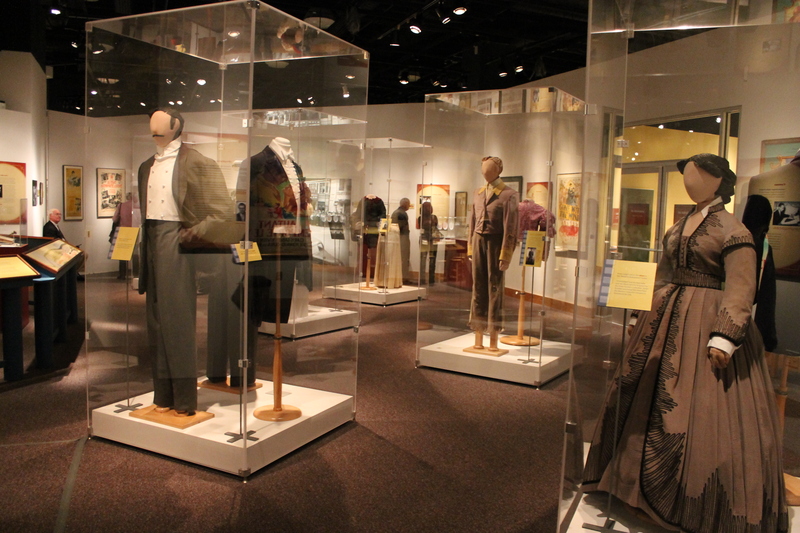 Unfortunately, their stage work was very ephemeral but luckily their films still remain to be enjoyed and discussed by fans and casual viewers alike. On top of that, they lead interesting lives. COH: Was there anything you learned that didn’t make it into the book and why? KB: One of the main tasks of an author is to decide what is important and what isn’t for the story he or she wants to tell. Coffee table books require even more editorializing than standard biographies because they rely just as much – sometimes even more – on visuals as they do text. 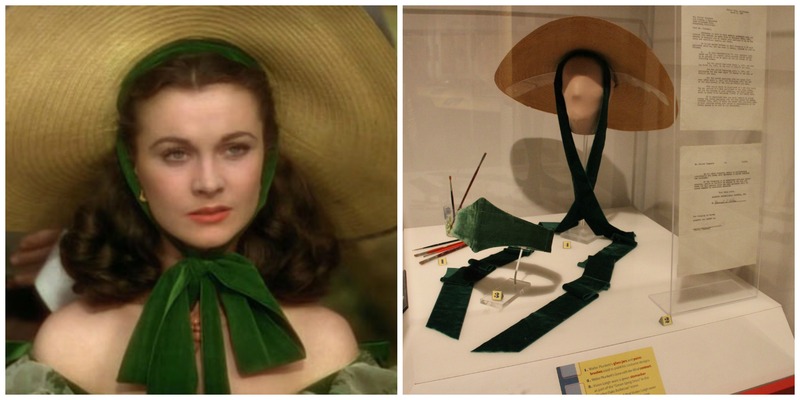 A couple of examples of things that were left out of Vivien Leigh: An Intimate Portrait: I was told some stories during interviews that I felt were interesting but they ended up being more about the interviewee than Vivien, or I didn’t feel they added anything thematically that hadn’t been said already, so they were left out. 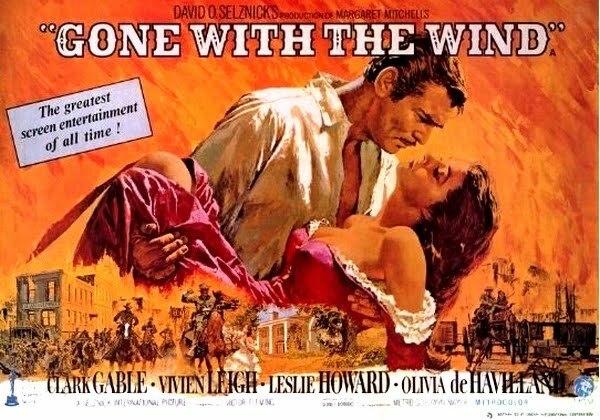 I also didn’t spend much time talking about the films she made for Alexander Korda in the 1930s, instead opting to cut to the meat of her fame, which really took off with Gone With the Wind. I did write an essay about these films for the Vivien Leigh Anniversary Collection released in November by Cohen Films though, and that’s something I would definitely expand upon in a full biography. One of the challenges in writing a biography of a famous figure is that many materials are still in copyright and permission is required to publish them if they fall outside of fair use. This meant that, unfortunately, there were some letters and photos that I very much wanted to use, but couldn’t. COH: Recently you have given several speeches and interviews. What has been your proudest moment since the book has been published? KB: I think my proudest moment was actually getting the book published. It was such a long and often emotional journey and there were several instances where I worried it wouldn’t come to fruition. I’m grateful for the opportunities that have arisen from being published. It’s been such a wonderful learning experience and I’ve met some very passionate and intelligent people because of it. 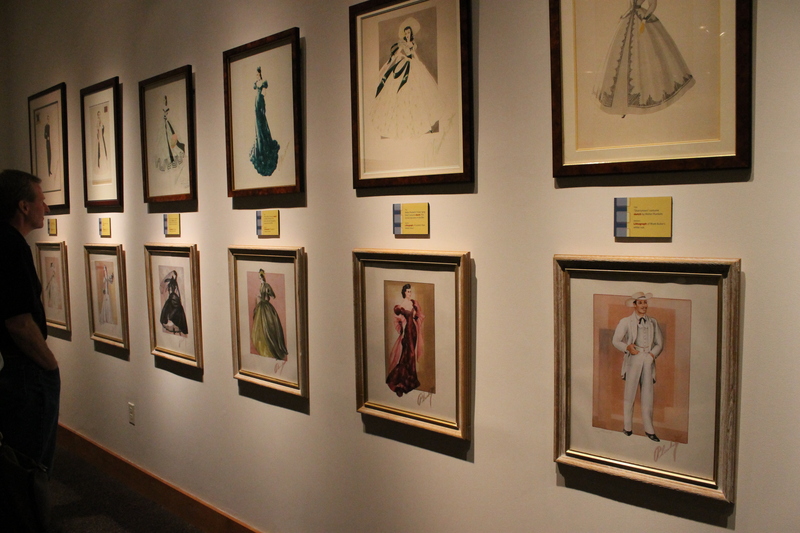 I never thought I’d get to curate an exhibit at a major museum, for example, but Terence Pepper (who edited some of my favorite photo retrospectives) asked me to help curate the “Starring Vivien Leigh: A Centenary Celebration” exhibit that’s currently on at the National Portrait Gallery. I also gave my first-ever big lecture to a sold out audience at the NPG. Public speaking has always been one of my worst fears, but this went really well and has given me confidence for the lecture I’m giving at the V&A in February. COH: Do you see another book in your future? KB: Yes! Watch this space! Through the years, several acting couples have been dubbed “Hollywood Royalty”: Angelina Jolie and Brad Pitt, Elizabeth Taylor and Richard Burton, Natalie Wood and Robert Wagner. 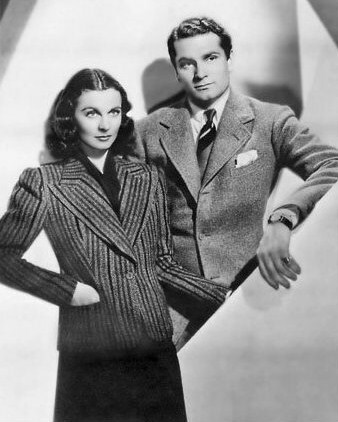 But none of these couples come close to the class and sophistication of Vivien Leigh and Laurence Olivier. 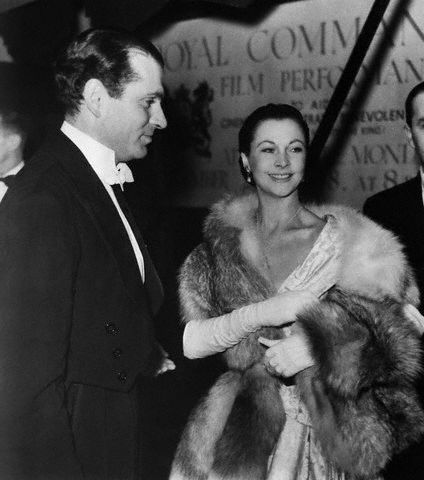 The Olivier’s really were truly the acting world’s (stage and screen) king and queen. Always gracious, refined and most of all beautiful. 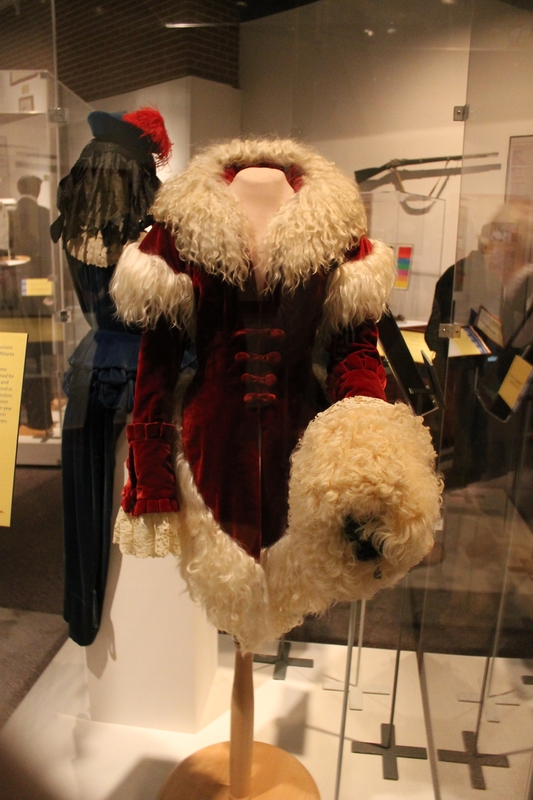 The Olivier’s were always stylish and pulled off the part of royalty very well. Here are a few photos that illustrate their impeccable taste through the years. 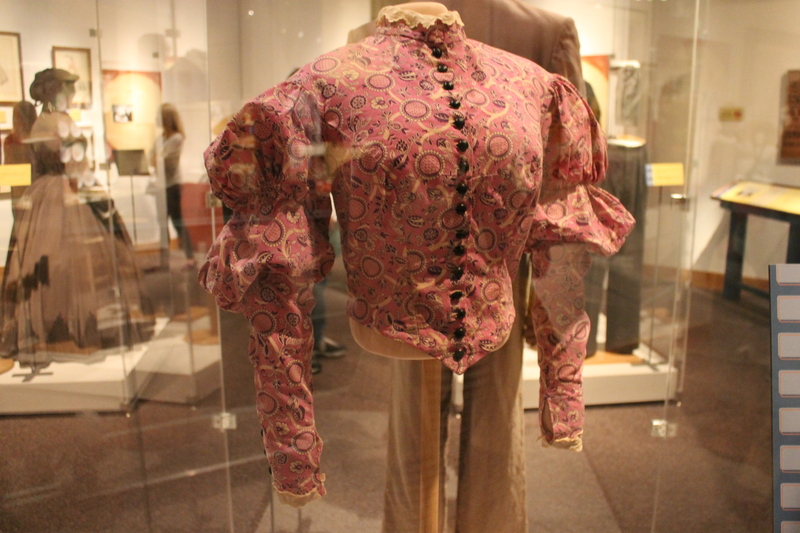 The photo that usually comes to mind when we discuss the Olivier's and their style. 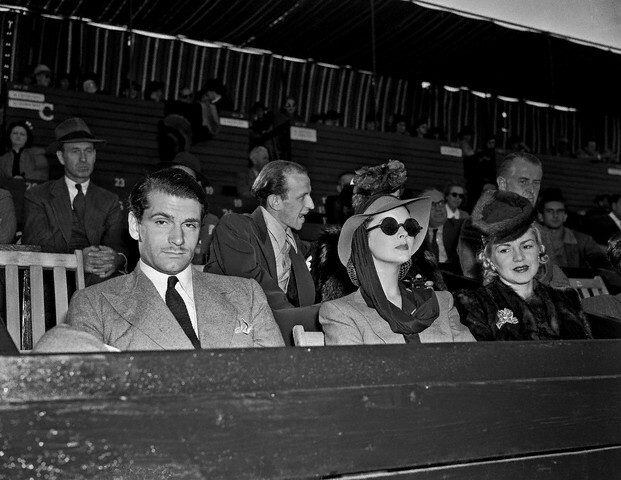 At a tennis match with Claire Trevor in the late 1930s/early 1940s. Larry looks very debonair and Vivien looks fabulously glamorous. 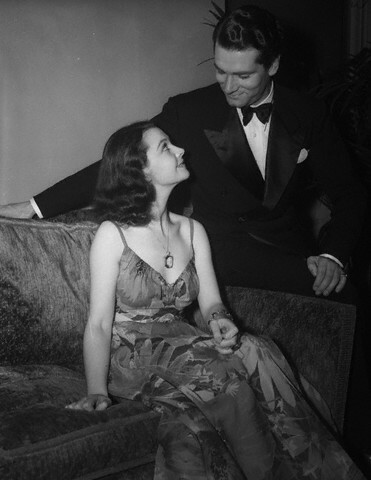 At the 1940 Oscars when Vivien won best actress for "Gone With the Wind"
At home in 1941 illustrating the 'at home' look. I wonder if they ever did their own gardening? 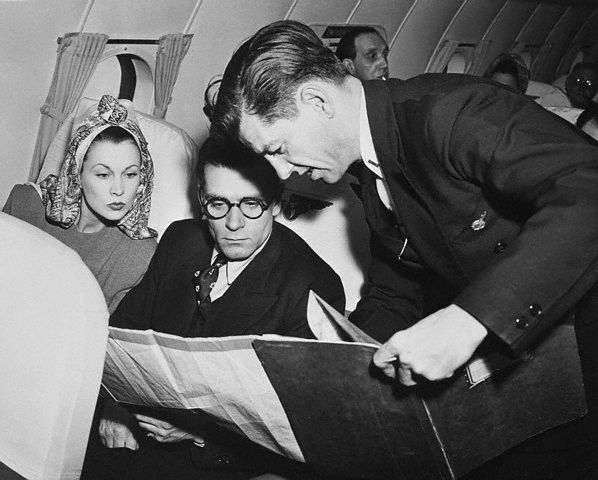 Vivien wearing a wonderful hat on a flight in 1946. 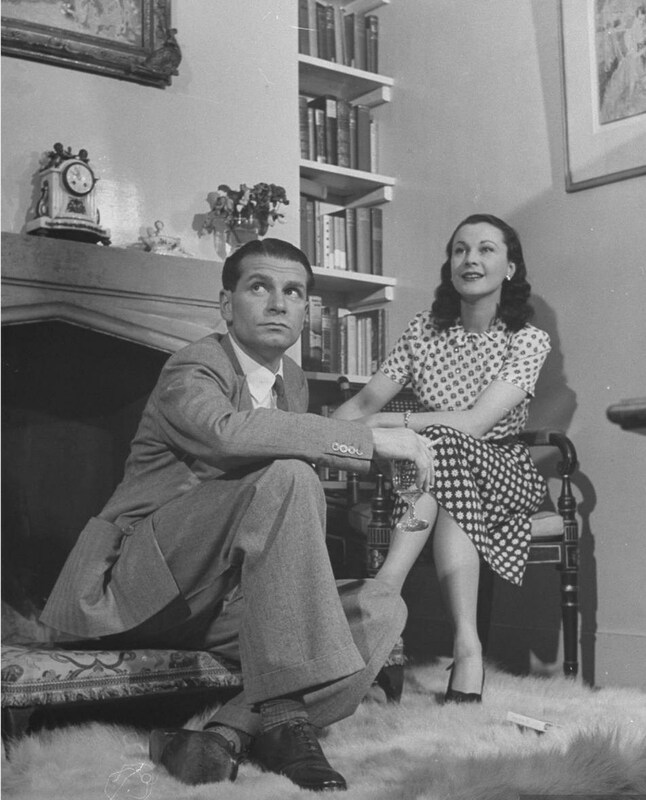 Still stylish yet casual as they relax at home in 1946. 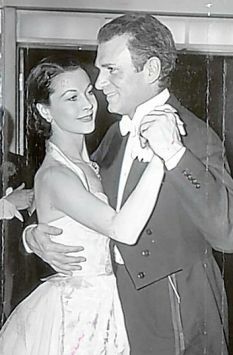 Vivien looks really lovely and Larry looks wonderful in a tux in 1948 in London. 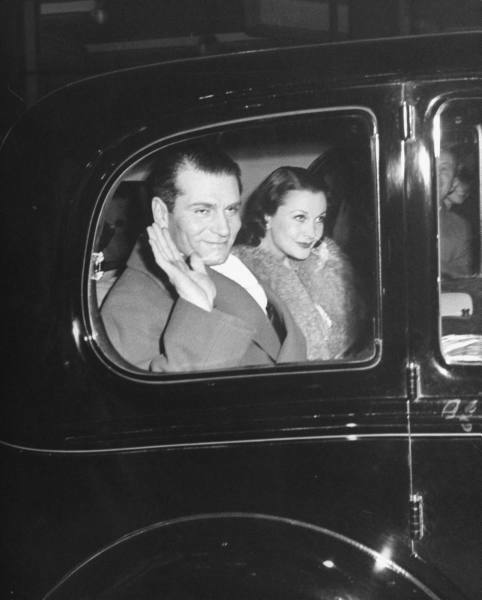 Waving like royalty after a 1949 performance of "School for Scandal." 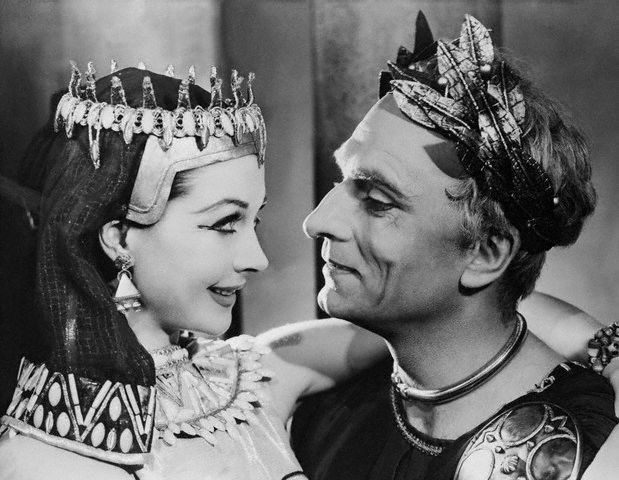 1951 in "Anthony and Cleopatra": One of the stage's most famous couples. Beautiful couple on the dance floor. 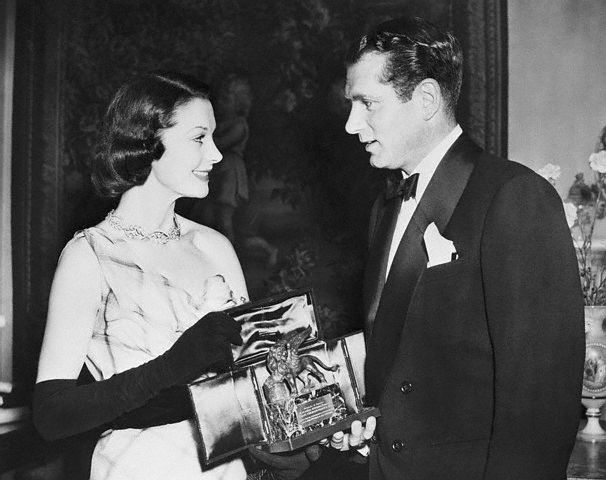 Presenting her husband with an award at the Venice Film Show in 1952. 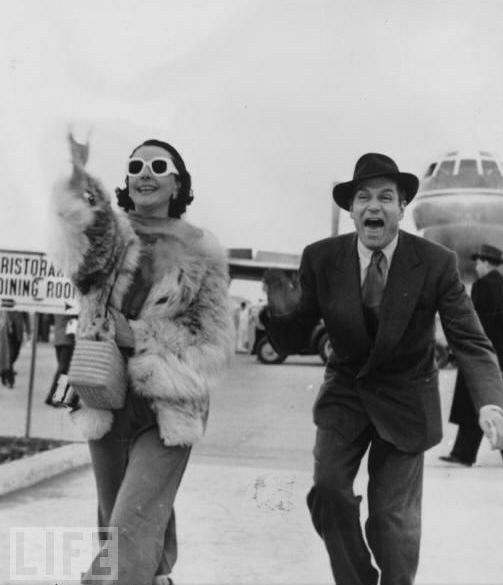 A hilarious photo from 1953 as they get off the plane in Venice. An interesting fact: I actually was going to do a post about Vivien Leigh being the godmother to actress Juliet Mills, daughter of the Olivier’s friend John Mills and sister of actress Hayley Mills. In an interview once, Juliet said she remembered being allowed to play in Vivien’s jewelry box. Sadly, I couldn’t find enough information to a good post out of it, but I thought I could still share the information. 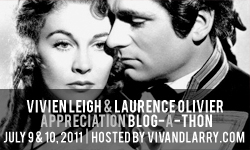 This post has been for the Vivien Leigh and Laurence Olivier Appreciation blogathon hosted by Kendra at vivandlarry.com.